Discussion in 'Cageside - MMA Discussion' started by d998, Apr 7, 2019. After this thread has run it's course can it be locked and moved to the HOF @Wild @Splinty ? It's been a few days and it still seems unreal. How one minute you're messaging someone. And the next they're gone. Hate to see the guy go. Had a good head on him and a good soul. They're are alot of good people in this community that I respect and enjoy chatting with. Much love to all of you. damn...really enjoyed his posts. R.I.P. RIP Frankie! Loved his stat posts and great pos attitude! 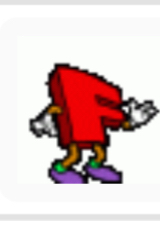 Alphabet avatars available on the ripFrankie thread on sherdog. What do you think about changing the information rating icon to @FrankieNYC avatar? That would be cool but the shitpost icon would have to be changed to @Mix6APlix as well. RIP. Prolific poster. Saw him everywhere and he had good information. Good reminder there are real people behind these accounts. One of the best MMA forum posters I ever encountered. He'll leave a void, that's for sure. Really missing @FrankieNYC -- anyone follow Dave Meltzer? I wonder if Meltzer has mentioned losing any close friends lately. I always figured Frankie worked for Dave since he was always quoting Meltzer when reporting certain stats. So when Dave moved into the MMA scene I always thought Frankie was his sidekick helping out with the transition. Something to look into ...either way ....We're going to miss you and your great posts Frankie Boy! FrankieNYC was a serious asset to this site. He always came off as upbeat and constructive online. I think it's a great idea if @Splinty can make it happen.